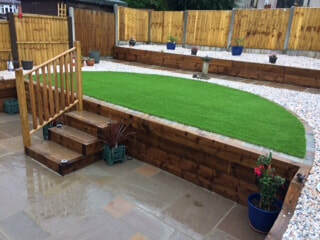 Artificial grass is becoming increasingly popular with home owners across the United Kingdom for many reasons. 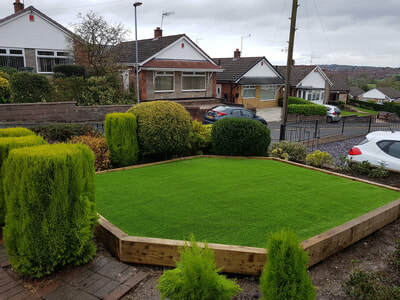 In Stoke-on-Trent and Staffordshire we are now fitting more fake grass compared to real turf and the ratio is getting bigger with each year that passes, the reasons for this change in trend are highlighted on this page. 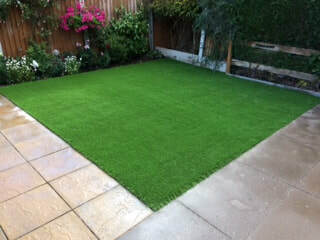 Artificial grass is more expensive for the initial cost compared to real turf, but over a ten year period fake grass will cost less than the maintenance that a real lawn requires. 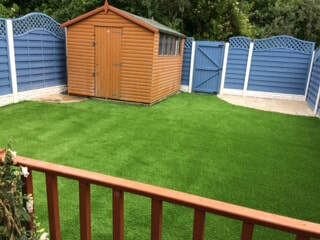 On average artificial grass installations cost around £36.80 per m2. On average a real lawn costs around £11.50 per m2 for the initial installation. 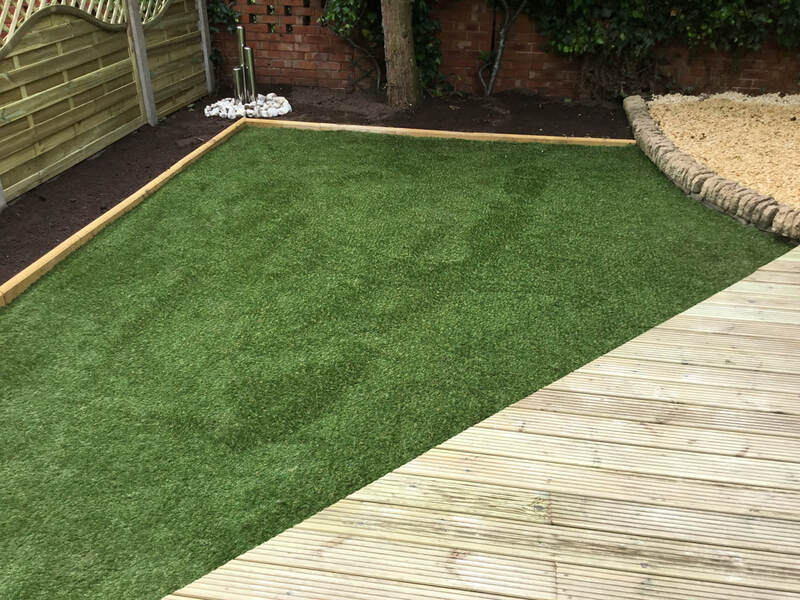 The maintenance of artificial grass varies from home to home, for example if you own a pet you will need to ensure the the artificial grass is given a clean more often compared to a home which doesn't own a pet. On average a artificial lawn will cost around £50.00 per year to maintain for a 20 m2 lawn. This is for the water and a cleaning detergent. 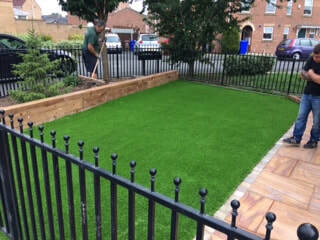 On average a real lawn will cost between £250.00 and £600.00 per year to maintain a 20 m2 lawn. This is for fertilizer, lawn seed, fuel or electric to power the mower, maintenance of the mower and whether or not you choose to employ a professional to do the maintenance. On average a person who chooses to maintain their lawn themselves will spend around 40 hours per year on doing so! That's a full working week! !